I had the privilege to be leading a sculpture class full of particularly brave and thoughtful students a few years back when a spontaneous debate irrupted over the terms Maker vs. Artist. Many strong arguments were made for the personal adoption of each label. For sometime now, I have chosen to professionally identify as a ‘maker’. To me the term connotes ingenuity, is inclusive and expansive, and is also socially non-assuming. I can be happy with those identifiers. This morning I discovered the Storyville Films documentary MAKERS, to my understanding it first premiered on PBS in 2013, and can be streamed in the US on the PBS website. It will not stream for those of us outside of the US, but I do hope to see it in its entirety soon. I’ve attached below the film’s official trailer, and an additional short clip from the film pertaining to women’s health care. ‘Maker culture’ emphasizes learning-through-doing (constructivism) in a social environment. Maker culture emphasizes informal, networked, peer-led, and shared learning motivated by fun and self-fulfillment.Maker culture encourages novel applications of technologies, and the exploration of intersections between traditionally separate domains and ways of working including metal-working, calligraphy, film making, and computer programming. Community interaction and knowledge sharing are often mediated through networked technologies, with websites and social media tools forming the basis of knowledge repositories and a central channel for information sharing and exchange of ideas, and focused through social meetings in shared spaces such as hackspaces. Maker culture has attracted the interest of educators concerned about students’ disengagement from STEM subjects (science, technology, engineering and mathematics) in formal educational settings. Maker culture is seen as having the potential to contribute to a more participatory approach and create new pathways into topics that will make them more alive and relevant to learners. Some say that the maker movement is a reaction to the de-valuing of physical exploration and the growing sense of disconnection with the physical world in modern cities. +Ps. 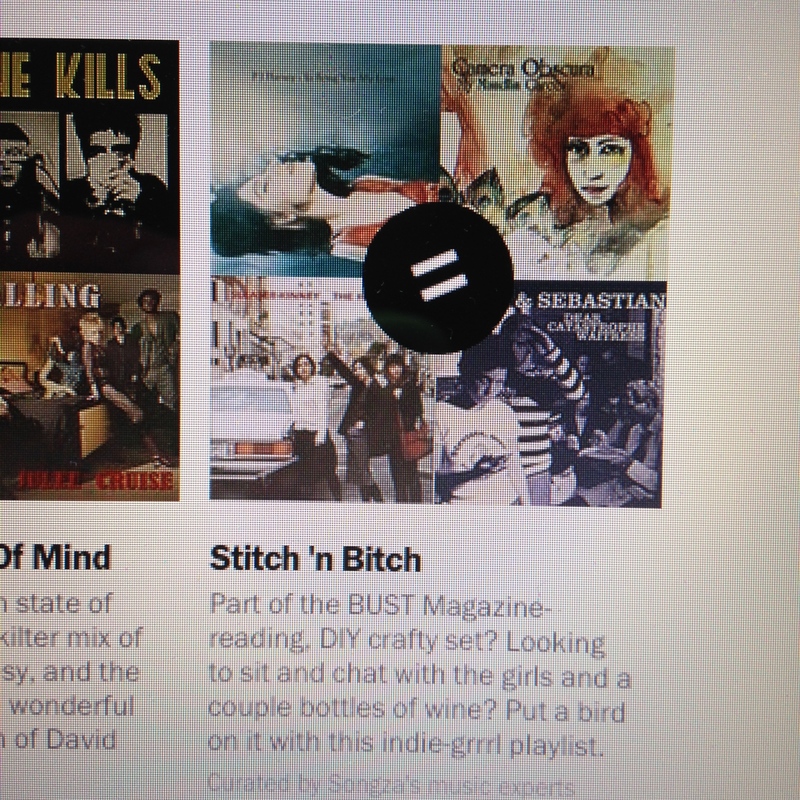 Who knew that Songza had a playlist compiled especially for we makers? How would a person begin to compile such a list?.. Click here if you’re curious like I was! Previous PostKindred Spirits Next PostHow it leaves me..